There have been several periods in the past thirty or so that modern pop music as we know it today has been around that saw an apex of talent, popularity, quality, freshness, and momentum. Among these high points in pop music history began around late 1996 and early 1997, ending a five or six year spell of stagnation - in the wake of controversy surrounding Madonna's sexually exploratory, envelope-pushing musical and literary output at the turn of the 1990s - something of a pop music dark ages. Then suddenly from out of the swamps of repetitive minor ballads from a young Mariah Carey and an increasingly erratic Whitney Houston, a new generation of pop music emerged, bringing with it an infectious and sorely needed energy that revived and revitalized pop music in ways not seen since the early- to mid-80s ascent of the likes of Madonna and Cyndi Lauper. Best of all, the renaissance seemingly offered something for everyone: Alanis Morissette, Jewel and Savage Garden conquered the moody adolescents and their parents' dollars by the barrel, while No Doubt and the Mighty Mighty Bosstones ska'd their way onto the scene and kept many a trumpeter employed; meanwhile, British import girl group the Spice Girls charged in from across the pond to tick the dance-pop metronome up a few notches, laying the path soon followed by the Backstreet Boys, together being the first acts of what would become the hugely lucrative subgenre of bubblegum/teen pop. Heck, even Mariah Carey lightened up a bit, scoring a top single on the Hot 100 with "Honey" in the fall of 1997. Amid this surge of new or reinvigorated talent, a charming midtempo track by a new, unknown teenaged Swedish singer known mononymously as Robyn made its steady ascent up the U.S. singles chart to its eventual peak comfortably within the top ten. "Do You Know (What It Takes)" was the kind of perfectly recurring but not over-saturated hit that hardly exists anymore in these days where a handful of tracks get played to death by a monopolistic Top 40 radio empire (*cough* ClearChannel *cough*): when it came on the radio, as it did quite often, it was unsurprising but always welcome, time since its last rotation seemed much longer than it really had been. Unless we'd sought out the video (rather minor even by '90s standards) most listeners had no visual image of this imported (but not imported-sounding) teenage chanteuse; only the sweetness, smoothness and skill of her voice and the eager naivete of the subject of which she sang. Or in my case, the happenstance of sharing a name (and spelling) with a dearly beloved godsister. 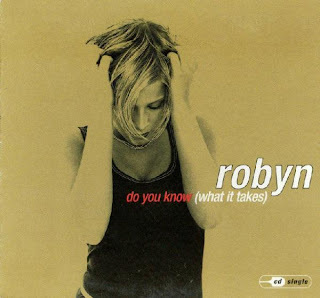 For whatever reason, Robyn made a good first impression nearly fourteen years ago, so much so that when late in 2009 a horrified friend and fellow pop music apologist alerted me to the fact that this Swedish gem had in fact continued working after seemingly disappearing as suddenly as she'd arrived, I was particularly pleased. And that was before I discovered that Robyn hadn't just been working: she'd become an artist comfortably living on the edge of genius; or, as she has proclaimed (to no argument I know of), "the killingest pop star on the planet." Robyn's sixth studio album, Body Talk, Pt 1, drops June 15 - which happens to be the 26th birthday of your friendly blogger. It is to be the first of three albums due out within the next year, following up at long last the 2005/2007 self-titled album AllMusic called "the pop tour de force that Robyn has always had in her," and combined with the European and U.S. tour scheduled this summer and fall with R&B champion Kelis, it even has potential to awaken an unsuspecting and unprepared American musical consciousness to this thrillingly superb pop icon for the first time in thirteen long years. But never fear: Vertigo Shtick is here to help as well as to honor. 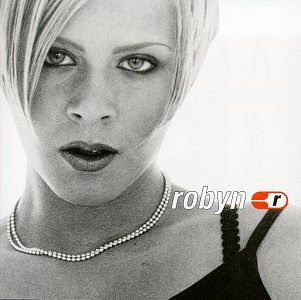 That is why for the next two weeks before Body Talk, Pt 1 arrives to blow your minds, Vertigo Shtick will be your Guide to Robyn, providing the newcomer and the long time fan alike with a thorough course in the star and her work, and strive to answer the unimaginable question of why you should care. So stay tuned; there's plenty of Robyn on its way to go around. 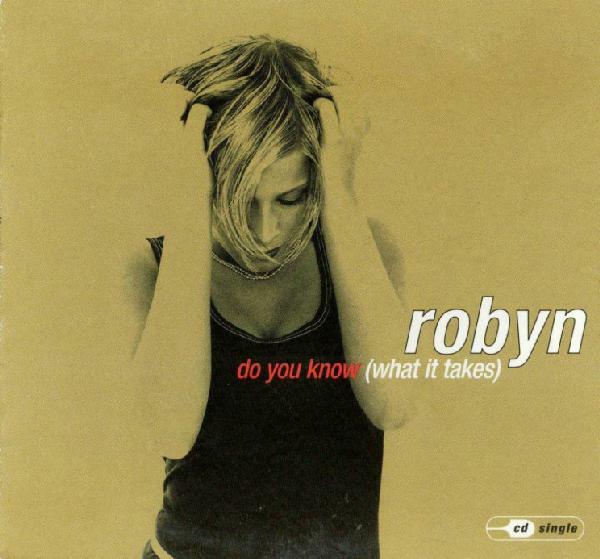 I'll open this two-week smorgasbord with the hit that won me over to the Robyn side thirteen years ago and still adore as much as I did when I first heard it. Plus, of course, one can only hope that someone like Robyn will "always be around." "Do You Know (What It Takes)"